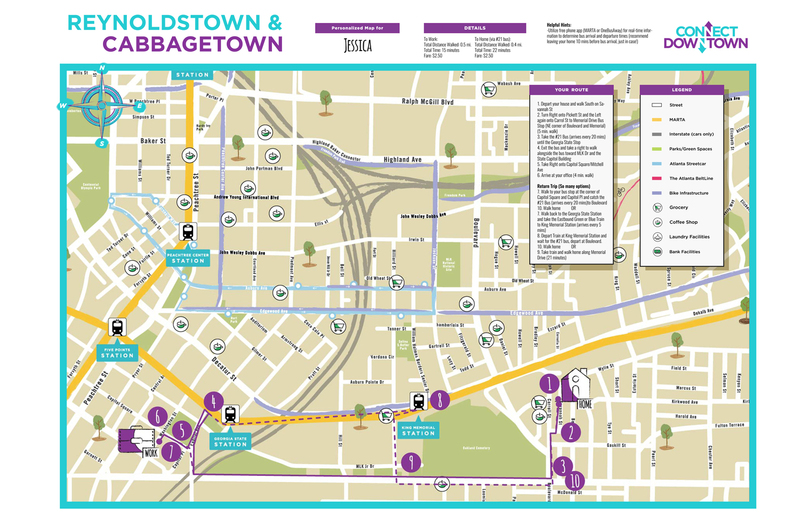 For this project, I worked with Central Atlanta Progress and Connect Downtown to create customizable commute maps for Atlanta residents and encourage them to get to work by bike or public transit. 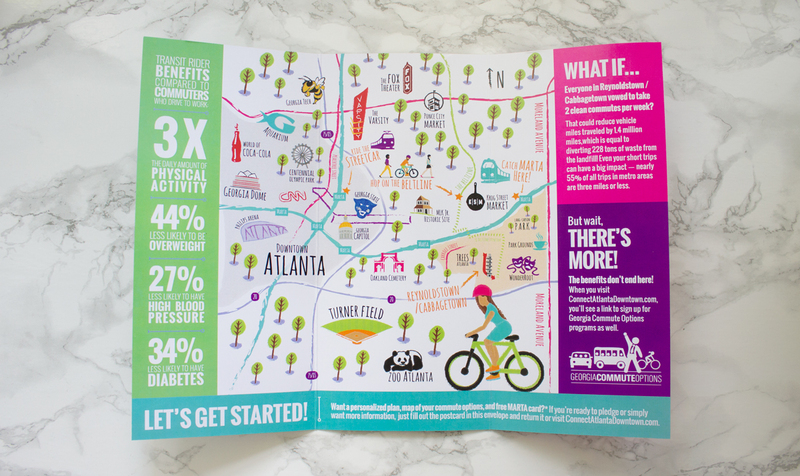 Residents received cards in the mail, inviting them to sign up for a free customized map of their ideal commute, either by bike or public transit. The folks at CAP put together the map and sent them out individually to each person.